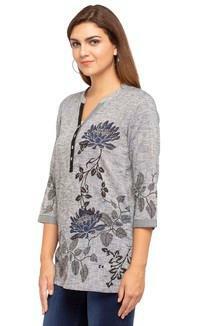 For women who prioritise comfort, this tunic from Sanaa is a must-buy. 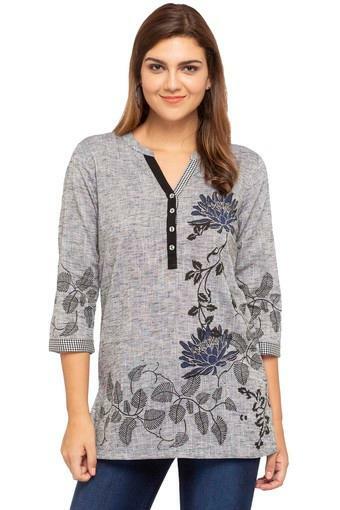 This tunic is extremely comfortable to wear, courtesy its good quality fabric. 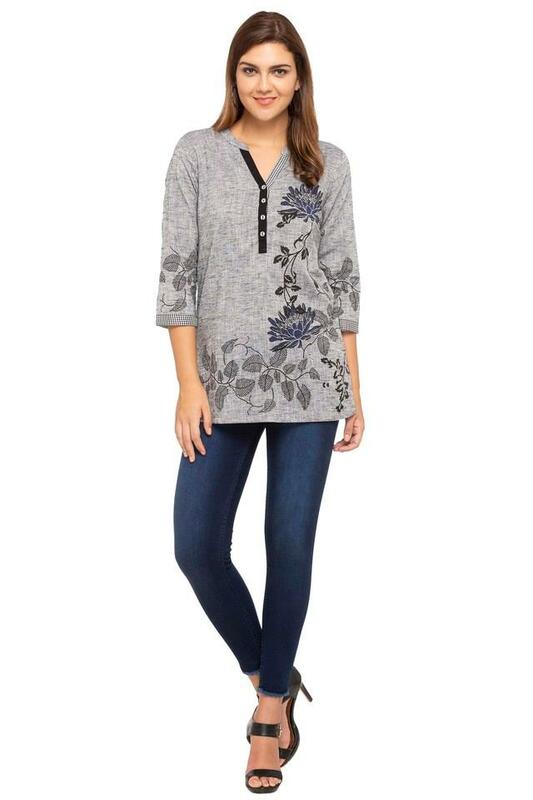 Featuring a printed pattern and mandarin neck, this tunic possesses a stunning panache. 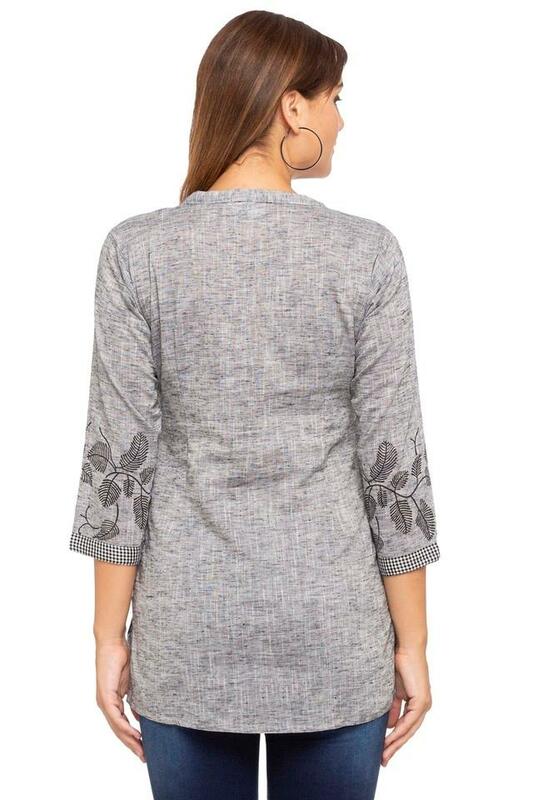 Besides, the three quarter sleeves also accentuates its design. Construct an easy-going look in this tunic. Show off your fashion sense by clubbing this tunic with a pair of contrast denims.